Diocesan Library – You are welcome to check out educational resources from the diocesan library, located in the conference room of the diocesan offices. Call 817-534-1900 for more information or to ask whether we have a particular resource you’re looking for. 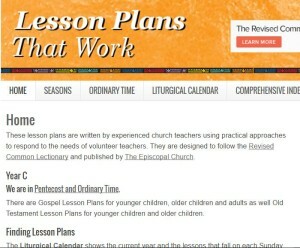 Check out Lesson Plans that Work, an excellent resource of the Episcopal Digital Network. 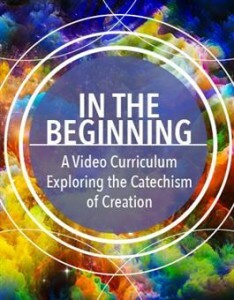 The Episcopal Church website’s Library includes a variety of resources in several media. Use the “+Topics” menu to search by topic or look under “Resources” for bulletin inserts, a variety of documents, and links – you can then filter the list by key words to find something you’re looking for. You can also look under the “Ministries” tab to access resources produced by various ministries and departments within the church. The Society of Saint John the Evangelist has some resources as well. Alban Institute – An independent not-for-profit institution that offers seminars for congregational leaders both clergy and laity on topics such as congregational transformation, planning, and leadership. Lombard Mennonite Peace Center – courses in mediation skills, etc. Word and Wine – 4-part Bible study collaboration between a church and a vineyard in Brenham, Texas. Revised Common Lectionary – the cycle Episcopal churches and several other denominations use to read the Bible in a systematic way over a three year period. Bible in the Life of the Church (BILC) is a toolbox of resources and materials related to studying the Bible developed for use across the entire Anglican Communion. Click the link above to access the materials, which are grouped by type (what kind of resource is it? ), by topic (what is it about? ), and by audience (who is it for?). In 2011, the Episcopal Church House of Bishops issued a pastoral letter on the environment. In response, a five-week study course titled A Life of Grace for the Whole World has been created. The curriculum follows the five sections of this letter. This resource is free from Forward Movement. See also the Facebook page of the Science, Technology, and Faith Network. Claiming the Vision – A five-topic series related to Baptism. Each topic has a series of short video clips, with discussion questions. Also, see resources and research from The Confirmation Project. Report from the Task Force on the Study of Marriage – download in English or Spanish from The Episcopal Church website. Just Faith – An ecumenical resource for exploring justice issues. You might contact the organization to find a course already running near you or start one. The program also has shorter modules on specific topics and major issues of our day. Living Room Conversations – how to have discussions about complex topics, with people whose opinions differ widely. The Rev. Linda Taylor is very involved in this organization; St. Luke’s in the Meadow has successfully hosted several of these conversations.